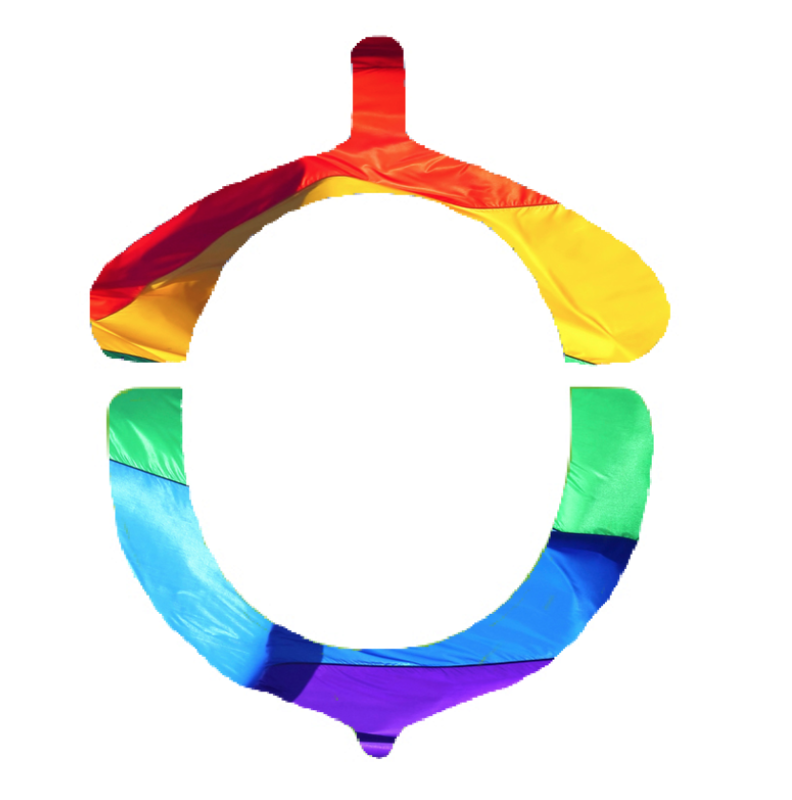 As Pride month draws to a close, we’re taking a moment to say thank you to those who support our business. The LGBTQ+ community make up such a valued part of our business, and we are proudly owned and run by wife and wife duo Rhiannon & Philippa. Eating, drinking and swallowing difficulties have potentially life-threatening consequences. They can result in choking, pneumonia, chest infections, dehydration, malnutrition and weight loss. They can also make taking medication more difficult and they can lead to a poorer quality of life for the individual and their family. Dysphagia can affect people at any stage of their lives and speech and language therapists support and enable them to eat and drink safely. Are you, or someone you know, suffering from difficulties swallowing? Swallowing difficulties, also known as dysphagia, affect a significant proportion of the population for a variety of reasons. Both adults and children can be affected and at any point in their lives. There is always an underlying reason for the swallowing difficulty and can be either short or long term, static or progressive. In any event advice should always be sought. For adults swallowing difficulties can occur post stroke, from progressive neurological disorders such as Parkinson’s disease, multiple sclerosis, motor neurone disease, Alzheimers and other dementia’s. Those with learning difficulties or post traumatic brain injuries can also be affected, along with those post head and neck surgery. Even a urinary tract infection can affect a person’s swallow. For children swallowing difficulties can occur with cerebral palsy, cleft lip and palate, muscular dystrophy, other cranio-facial abnormalities. Chest infections and pneumonia can be due to food or drink going into the lungs instead of the stomach. With some people this can occur without any coughing or choking and is known as ‘silent aspiration’. As such difficulty with swallowing may have life threatening consequences and can lead to an impaired quality of life. 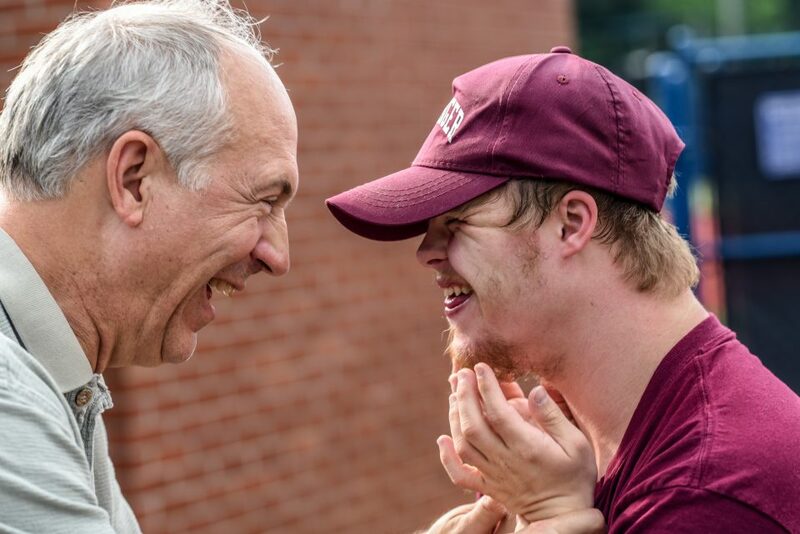 An impaired quality of life may not just be due to health and the physical aspect of swallowing but also due to embarrassment and lack of enjoyment of food, which can have profound social consequences for both the person and members of the family. Anxiety, distress and frustration can occur. Speech & Language Therapists (SLTs) : SLTs are fully qualified to assess, advise and treat swallowing difficulties. They are the first port of call when difficulties occur. They look at the swallow to determine what is working well and where difficulties might be occurring. As well as this they also look at how posture, environment, medication and anything else might be affecting the swallow. Different textures of food and drink may be trialled to determine what is the safest and most comfortable for someone to swallow. In addition strategies or exercises might be given to improve the swallow itself. Occupational Therapists: They can look at the utensils that are being used and give advice on anything that could be used to assist e.g. special cups, adapted cutlery. They can also give advice regarding wheelchairs and positioning. All working towards a person being as independent as possible. Chiropractors: Can listen to the chest post swallowing. 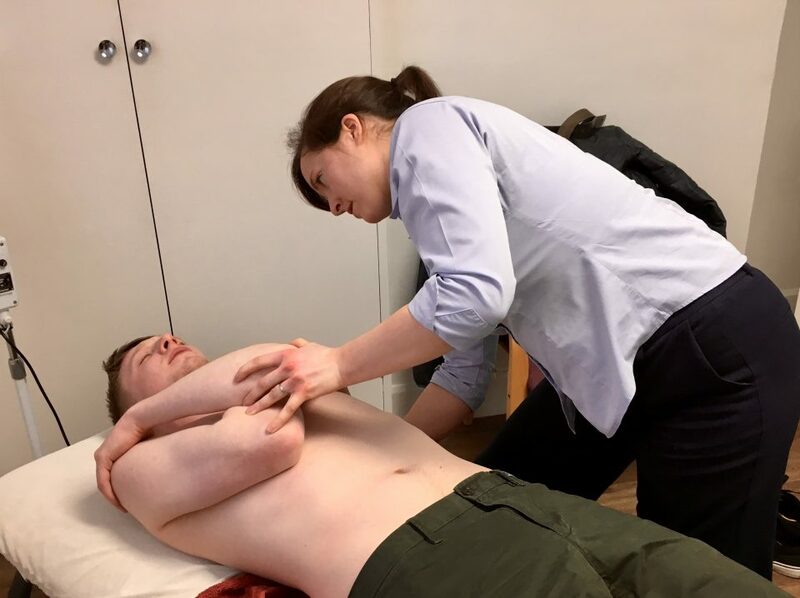 They can advise on posture, address mechanical issues that may affect the swallow or help improve posture and can advise on breathing and exercises to keep the chest clear. Physiotherapists: Physios can listen to the chest post swallowing. They can advise on breathing and other exercises to help keep the chest clear. Dietitian: They will work very closely with speech and language therapists to look at the nutrition and hydration the person is receiving. If the person is unable to take much by mouth the dietitian can advise on supplements and how to fortify food in order to make sure the person is receiving adequate nutrition. Throughout any intervention the person themselves, family and carers are central. They are the ones who experience what is going on day to day, give information to the therapist and implement strategies and advice. It is a truly collaborative approach. So if you, or a loved one, are experiencing any difficulties with swallowing no matter how big or small please do seek advice – you can be helped! Reduce the stress, anxiety and discomfort, It’s time to enjoy meals again…. Frances Webster is an Independent Speech & language Therapist that specialises in working with adults, find out more about her and her services at Acorn Health here. Cupping therapy has been used in China and some African countries for several thousand years. 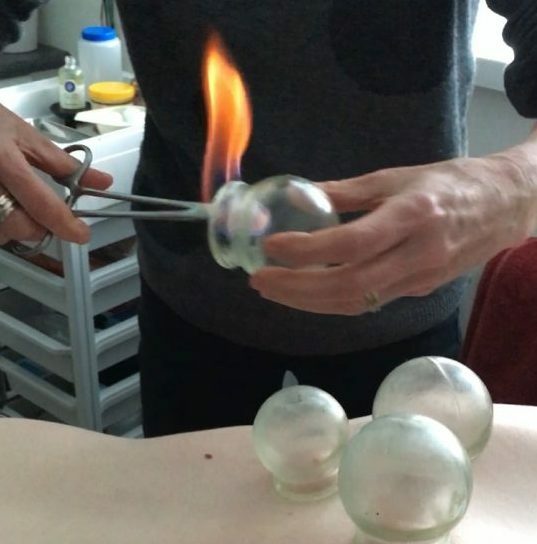 Our acupuncturist Gill is seen here using pressure and fire cupping to help alleviate mid-back and neck stiffness and pain. The skin is the largest organ in our body, containing fluid, blood, blood vessels, connective tissue, muscle and nerve supplies. Cupping works to manipulate the skin and influence blood and other functions of the body, improving circulation, lymphatic drainage and alleviating muscle tension. It is thought to influence the lymphatic system and lymph nodes that form a vital part of our immune system. Cupping Therapy: How does it work? The vacuum created by the cup creates a negative pressure. This creates a gentle suction on the skin which may encourage cells to move towards the cup, and open pores in the skin. When the cup is removed, the skin and cells move back to their original state. The addition of heat helps to accelerate your metabolic rate (the amount of energy your body is using to function), increasing the benefits of the treatment. 1. Physical stimulation of the skin through cupping is thought to increase blood circulation, skin temperature and metabolism in the skin tissues. It may also improve the function of sweat and sebaceous glands (the glands that secrete oils onto the skin). 2. Cupping may stimulate the nerves within our skin and may help to stimulate the central nervous system in the same way acupuncture can, decreasing the release of cortisol (a stress hormone which contributes to a number of conditions). 3. 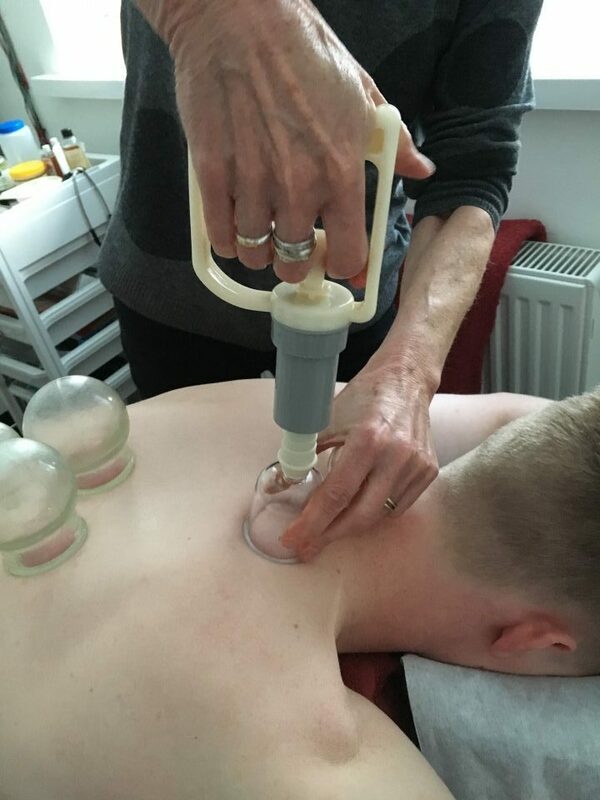 Cupping on muscles is thought to cause the blood vessels in our body to expand, increasing blood flow and lymphatic flow, which can have a powerful effect on chronically tight muscles. 4. Cupping on inflamed joints may again improve function through better flow of blood within the joint, and through influence synovial fluids (which help lubricate our joints). Is it safe? Yes- when performed by an experienced, qualified practitioner. Does it hurt? No- it just feels like a pulling sensation and may feel slightly warm. What about those weird marks? The cups cause the marks on your skin. How long they last depends on how strong the suction was. Does it damage the skin? No- as blood flow to the skin increases, it causes the redness to occur. How long does a session take? Sessions can take from 5 minutes to 45 minutes, depending on your treatment requirements. This patient is co-managed by Gill and our chiropractor Philippa, so after the muscles in his back have been relaxed using the cupping therapy, Philippa delivers a gentle adjustment to the mid-thoracic spine to get a restricted joint moving properly. This two-practitioner-approach allows our patients to really maximise the benefit of their treatment with us. This demonstrates how so many of the health services we have available to you can complement each other. If you’d like to book an appointment with our acupuncturist to receive cupping therapy, please call us on 01243 379693.